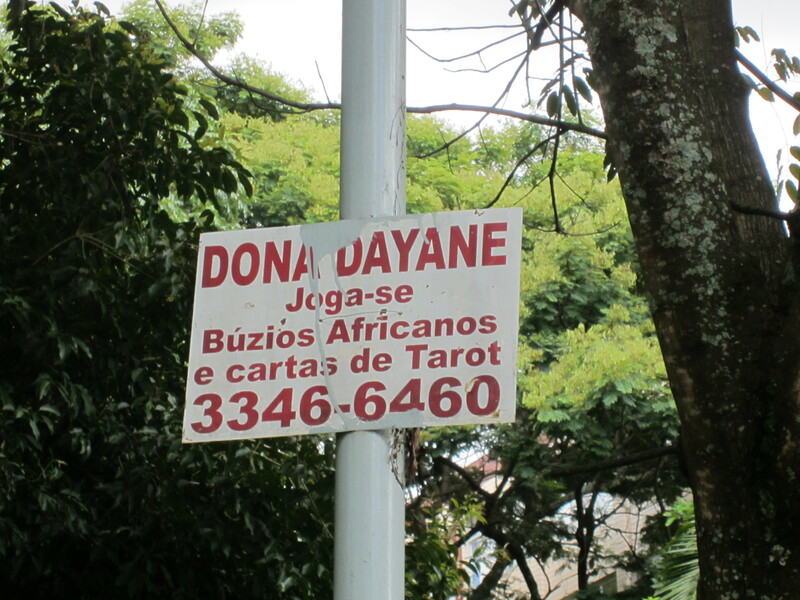 “Dona Dayane” will tell you your fortune by reading Tarot cards. But alternate signs point the way to Christ. Driving around the streets of Brasília we see lamp posts and bus stop signs plastered with the phone number of fortune tellers, promising to give you good news about your future. 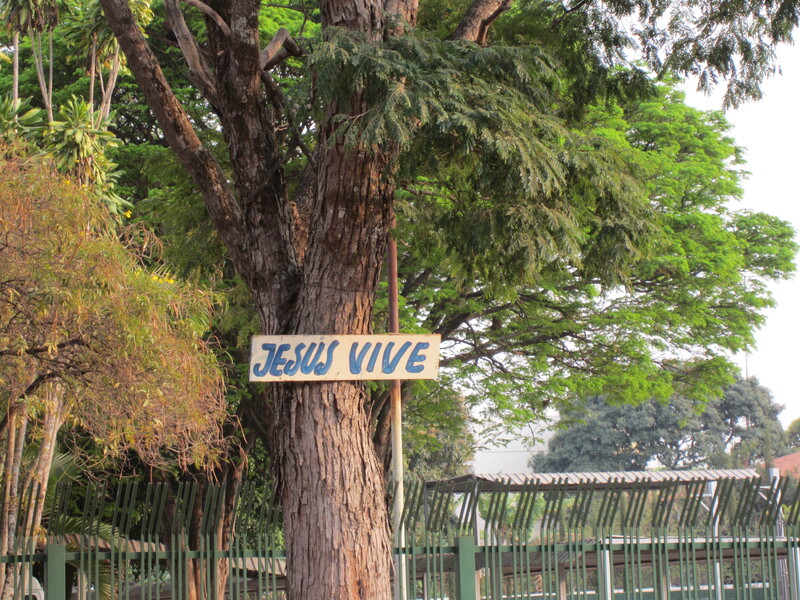 In contrast we’ve seen dozens of signs nailed to trees bearing the name of Jesus. I was intrigued by these signs, but never thought I’d learn the story behind them. Until I went to Jonny’s birthday party. . . .
Jonny’s parents attend our church plant and at his party, Dan and I sat next to his grandfather, Benevides Teixeira Marinho. He told us that in the last 30 years he has posted hundreds of plaques in 20 different states in Brazil, all proclaiming Jesus as Lord. Every time I see one of his signs I thank God for men like Benevides who are pointing the way to the only One who has our past, present and FUTURE in His hands. How wonderful! And to think you saw the signs and were impressed, without knowing who made them and posted them, then met him in an unexpected moment!